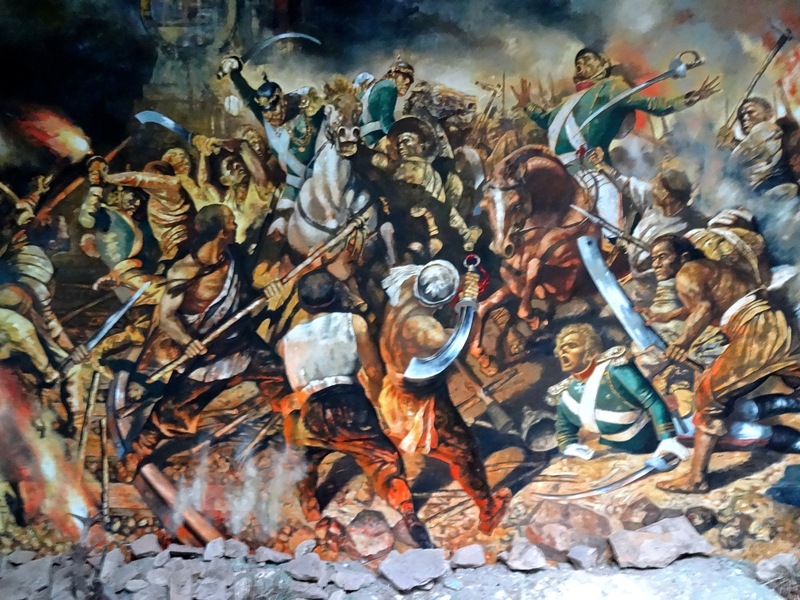 A mural painted on the wall of the German Bunker Museum in Qingdao depicting the siege by the British and Japanese in the first few months of the Great War. Both sides lost over 500 men in the 8 day battle which effectively ended the German occupation of China. Seventeen years before the Great War in 1914, Imperial Germany began setting up a colony in China. The Boxer Rebellion in China led to violence and conflict. Two Catholic missionaries were murdered in the Shandong Provence and Germany seized its opportunity to secure a valuable piece of real estate on the Yellow Sea in Qingdao. The growing imperialism that was spreading throughout Europe in the build up to the first world war was now permeating Asia as well. The British were established already in Hong Kong and Shanghai and the Germans were anxious to control the waters off nearby Korea and Japan. Qingdao had a perfect and natural deep water port and little in the way of resistance. 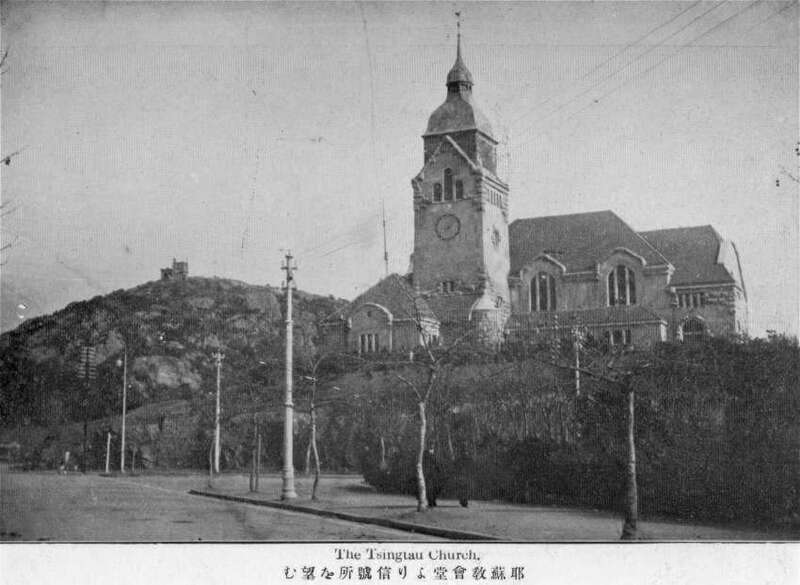 Early photo of the Tsingato Church in Qingdao a century ago. The Lutheran Church of a later era-1934, today with its stone and copper spire and clock face still has Sunday services, provided you have a foreign passport. An identical church built in Germany was later destroyed during the second World War. 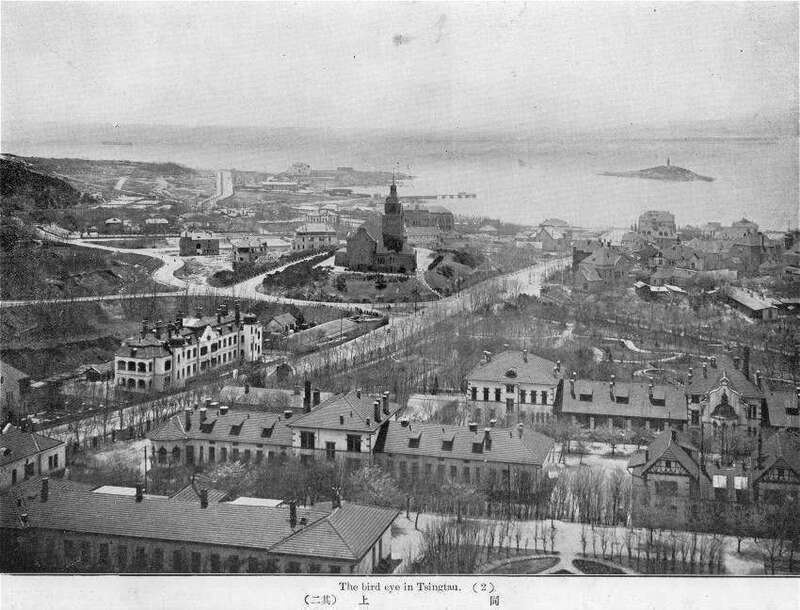 In creating the colony of Qingdao, at that point a sleepy fishing village of a few thousand local inhabitants, the Germans introduced miraculous new technology and improvements to the area. Within a few years, Qingdao featured hundreds of new and modern buildings with electricity, plumbing, parks, piers, schools, paved roads and sewers. The area boasted the highest percentage of educated local populace in all of China. As Germans, it was not long before the Tsingato Brewing Company established a Bavarian-style local beer to supply the growing immigrant population. Tsingato, the most popular and most exported of Chinese beers, is still based in Qingdao. 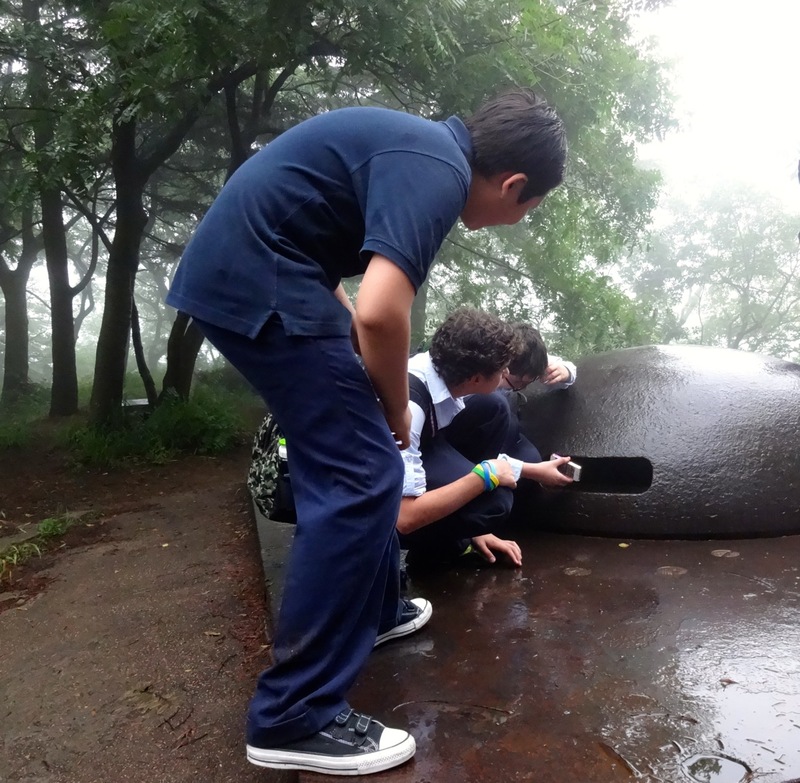 Last week, I took a group of middle school students for a closer look at the best examples of what’s left from the Siege of Qingdao. We started in Old Town-near the center of what was once German Tsingato. Most of the buildings from this era remain if not repurposed for more modern Chinese needs. 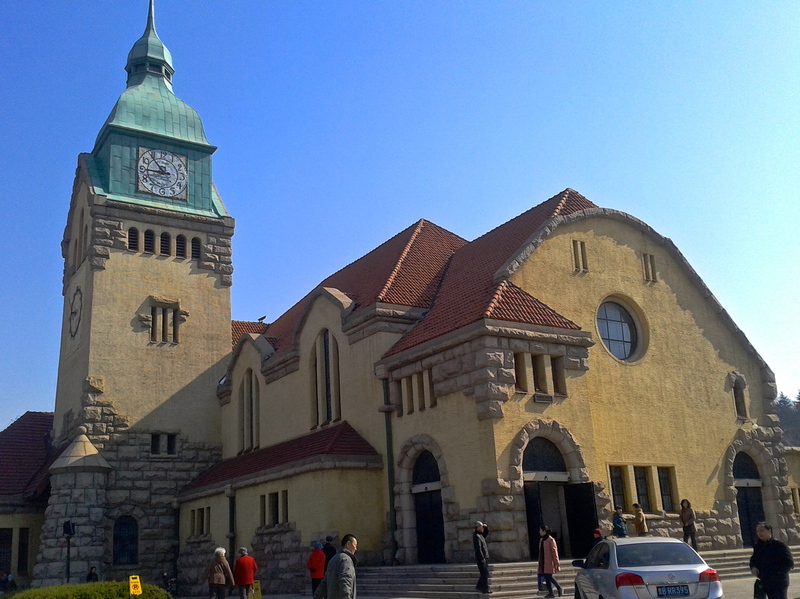 One small museum attempts to preserve some of the events in Qingdao that are a small part in the history of the first World War. 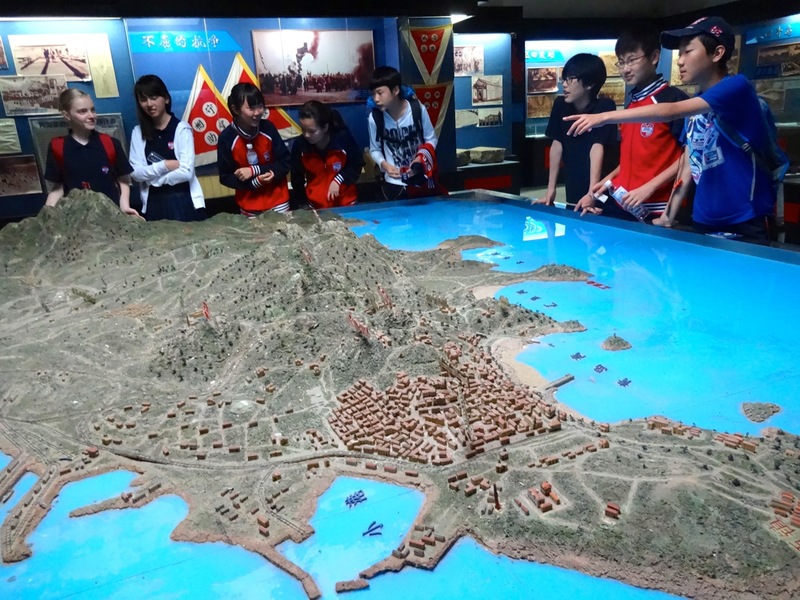 Students explore a scale model of the Qingdao area depicting the city during a siege of the city by British and Japanese forces in October and November 1914. 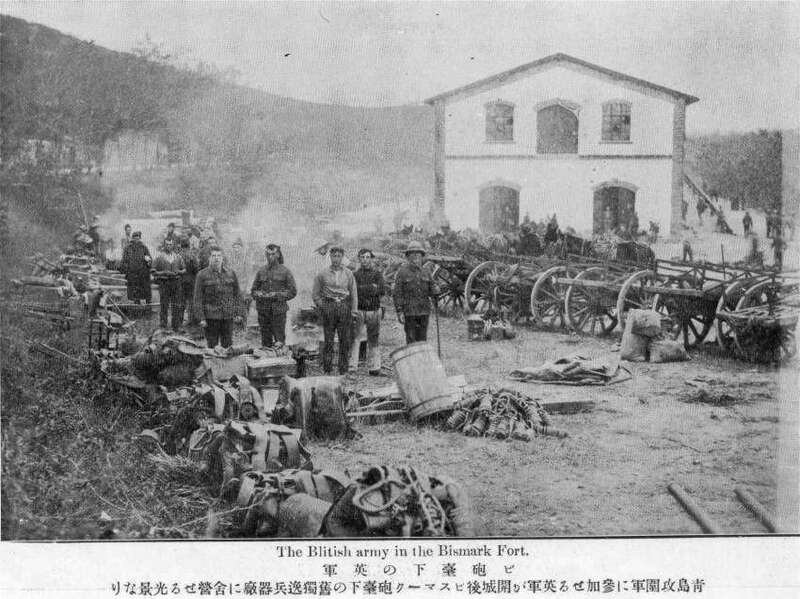 When the first World War started in August of 1914, the British has already begun to form an alliance with Japan as well as operate a small port in Weihaiwei, also in Shandong Provence. 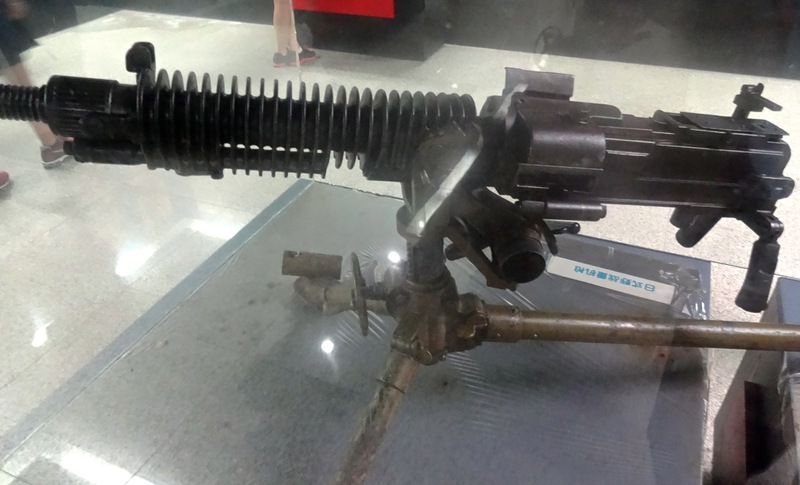 A WWI-era machine gun in a display case at the German Fort Museum in Qingdao. While the British considered the Germans to be a threat, the Japanese looked at Qingdao as an opportunity to gain access to China and a base to control more of Asia. In response, the Germans developed an elaborate series of hilltop forts, bunkers, look-outs, and gun placements and mined the harbor to prevent a naval attack. 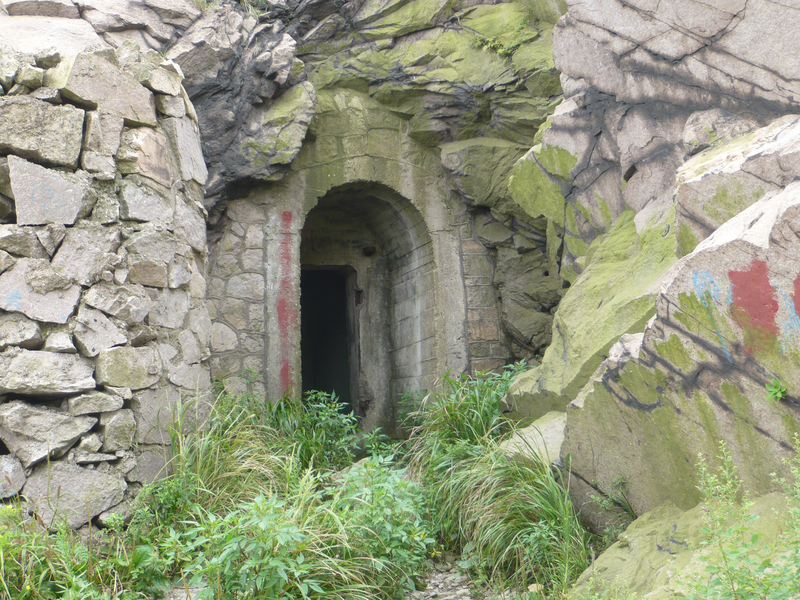 In the high rocky hills overlooking the city are reminders of the early 20th century German occupation of Qingdao. 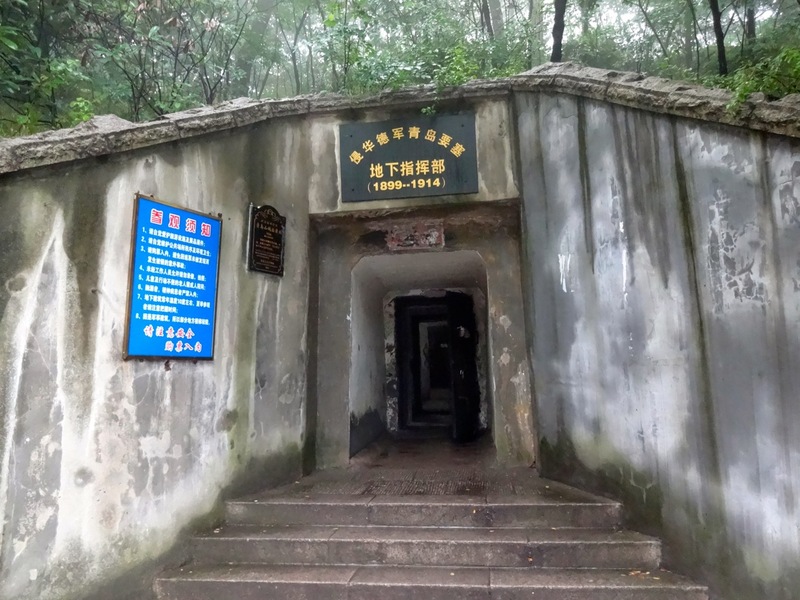 Dozens of abandoned bunkers are scattered on top of the Fu Shan Mountains. The entrance to the main hilltop German bunker fort from c.1899, containing over 50 rooms that included a medical clinic, barracks, artillery command rooms, kitchens, cisterns and a chapel. 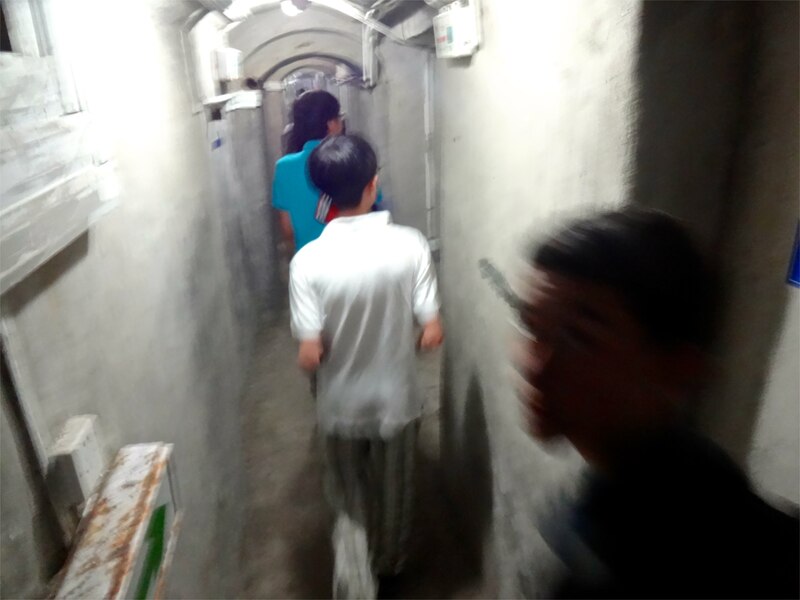 Students explore the dozens of rooms and narrow corridors that make up the underground fort built by the Germans in 1899 in a mountain high over Qingdao. 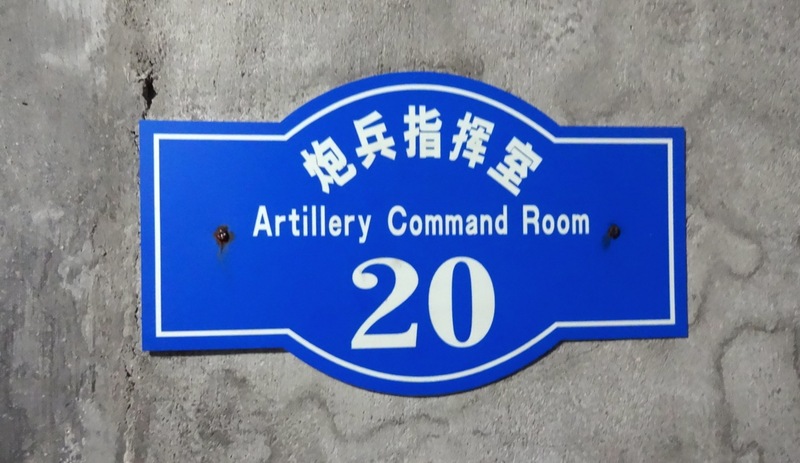 They eventually surrendered the fort to a combined British and Japanese force in November 1914 early in the first World War. Interestingly, the first air combat in history occurred in the same area we have been living for the past year: Shilaroan, just north of Qingdao and along the coast at the base of the Laoshan Mountains. The Japanese carrier Wakamiya, whose Farman seaplanes became the first in the world to successfully attack land and sea targets. These planes would also take part in another military first: the first night-time bombing mission. Airplanes would later have an even greater impact in the war back in Europe. Boys use the lights on their iPhones to peer into the top of the revolving look-out on the German battery. 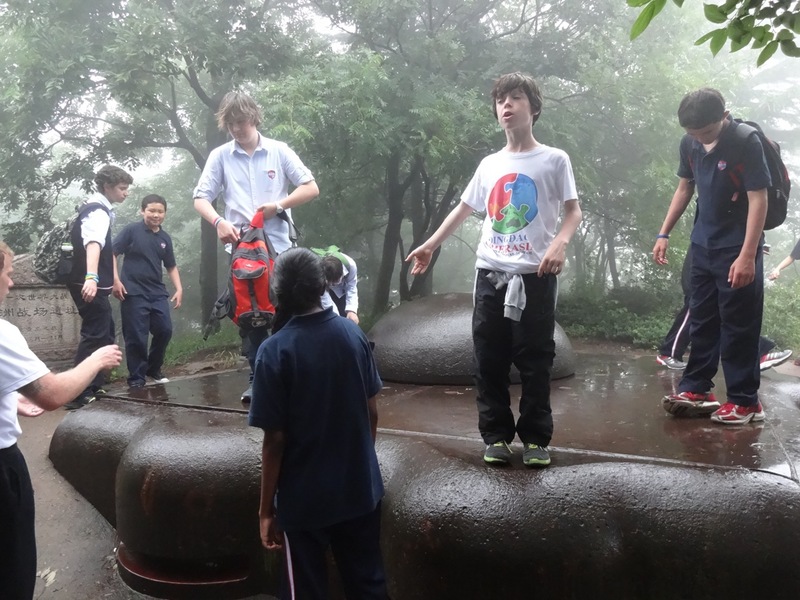 Alex and a group of boys explore the iron-top lookouts on the best preserved battery from the German occupation of Qingdao before and during the Great War. May they rust in peace.